Online Banking Made Easy with Titan Trade Banking! Your trading account at Titan Trade is packed with benefits that you can use to enhance your portfolio’s profiting power, and this includes our extensive banking section. The Titan Trade banking section features a number of methods that you can use to fund your account so that you can open your trading account with the method that’s right for you. 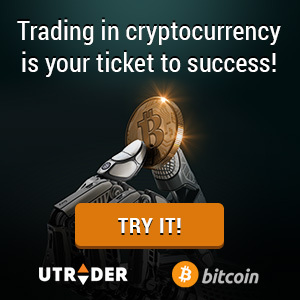 Whether you want to transfer money via credit card or wire transfer, we have created a number of methods so that you begin trading easily and quickly. Gone are the days where online funding took days or weeks to complete. With Titan Trade banking, when you deposit by credit or debit card, your account is immediately credited with funds so that you can start trading immediately. No worries if you don’t have a credit card, we offer several e-Wallet services such as Moneybookers (Skrill), PayPal and Ukash. These e-Wallet services give you the freedom to send your money the way you want, while keeping your financial details secure. You don’t need to carry around your Titan Trade payment details and repeatedly type them in. When you deposit funds using any of these e-Wallet services, your account will be credited immediately once the payment has been received by our system. Wire transfers on the other hand, may take additional time to be processed and credited. Depositing funds into your Titan Trade trading account is fast, simple and best of all, secure. The entire funding process takes only a few minutes to complete, and you will be notified of any issues with your transaction. Moreover, we always ensure that your funds are protected with the highest level of protection and the most advanced security measures. All personal and financial data relating to your trading account is secured by the latest digital encryption technology, so you can complete your banking transactions with confidence and peace of mind. Our rigorous security protocols extend to our withdrawal process as well. After verifying your account, we strive to process your withdrawal request as quickly as possible so that you can enjoy your profits as fast as possible. Our identity verification process was created to ensure that only you receive your funds quickly. In compliance with anti-money laundering policies, we will request the following documents before the first withdrawal: scanned copy of valid ID and proof of address. If credit card was used to deposit funds, requesters should submit a scanned copy of their credit cards. Keep in mind that all withdrawal requests are handled as quickly as possible. To expedite the process, we ask you to send the abovementioned documents so we can begin to process your request. The Titan Trade banking section was designed to provide you with direct access for all aspects of banking with Titan Trade. In this section you can make cash deposits, withdrawal requests, view your transaction history and which credit cards, e-Wallet payment accounts and bank accounts are linked to your trading account. We have extended the functionality and features of our banking section so that you can easily access all of your banking information. You already know that trading binary options with Titan Trade is the most profitable way to trade and that we process your financial transactions fast and trouble-free. Should you have any questions about Titan Trade banking, withdrawals or pending requests, click here to enter our live chat service or contact us for more info.